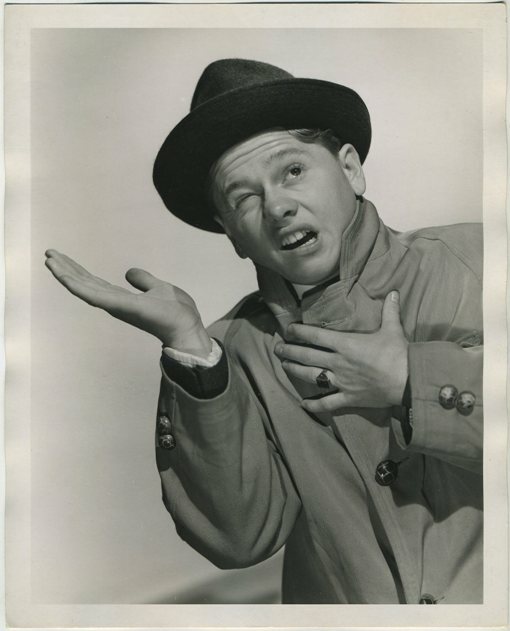 Mickey Rooney 1939 MGM Promotional Still Portrait by Willinger in promotion of The Hardys Ride High. 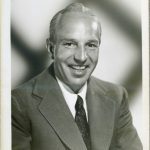 A MILLIONAIRE PLAY-BOY DOES SOME PLANNING ... Mickey Rooney becomes heir to a fortune in "The Hardys Ride High," sixth of the Hardy Family pictures at Metro-Goldwyn-Mayer, with Lewis Stone again as Judge Hardy. Mickey falls in love and out again, with a Detroit cabaret glamour girl, portrayed by the charming Virginia Grey. George Seitz is directing the new picture, with Fay Holden as Mother Hardy, Cecilia Parker as the daughter, Ann Rutherford as Mickey's small-town girl friend and Sara Haden as the maiden aunt Milly.